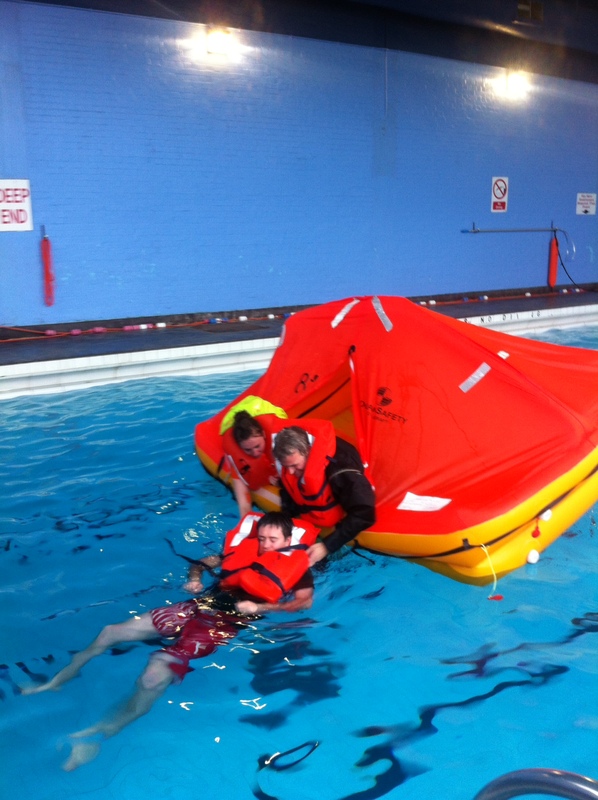 After completing my Sea Survival RYA course last Sunday, I’m now fully qualified for the ocean row. The timing couldn’t be better, as I’m picking up my boat this coming weekend, and also today hit the ‘100 days to go until race start’ marker. 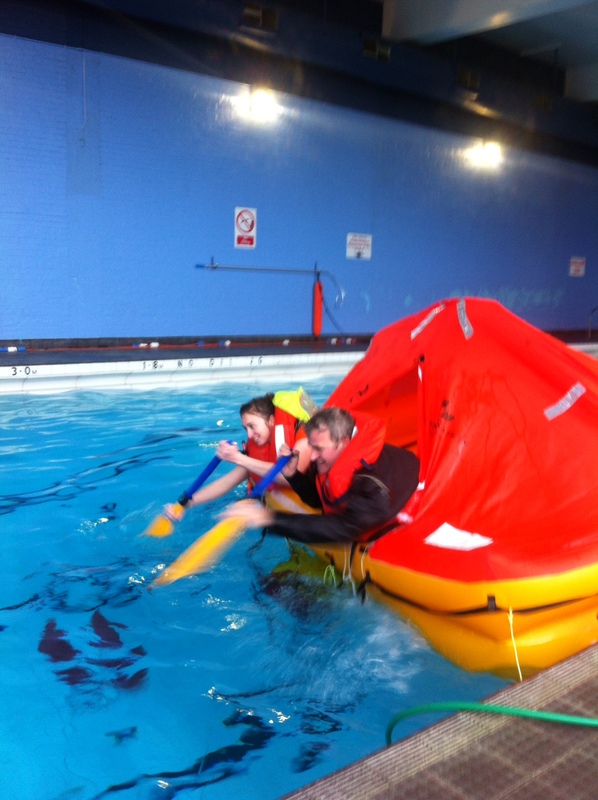 Fewer people are inclined to spend the day learning how to survive in a small, wet life raft during the winter months, which means that we were a very small group in the Training Room of Greenwich Yacht Club on Sunday. The morning was theory based, and ranged from what to keep in an Emergency Grab Bag to why one might start to crave fish eyes (Vitamin C), while the afternoon was about getting into the pool and going over all the practical steps. 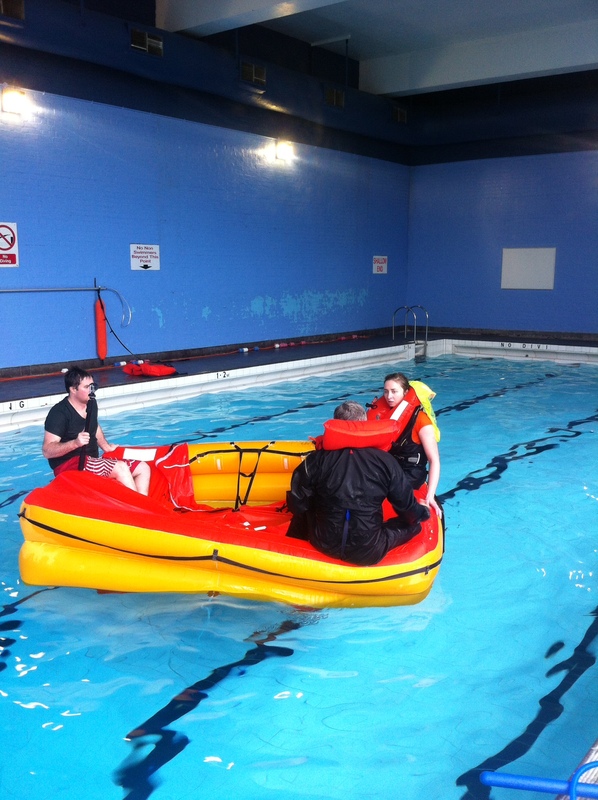 It was great for me, as I was able to ask lots of questions, and have a go at dealing with the life raft by myself. 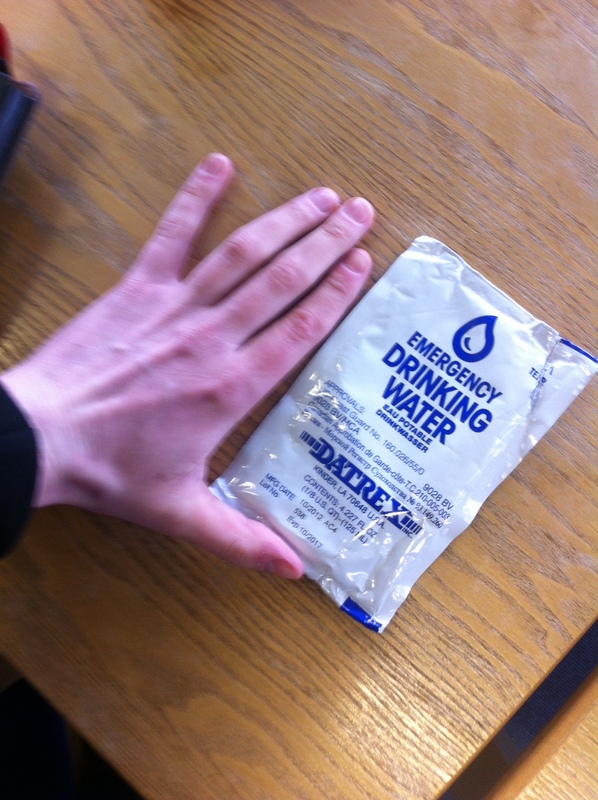 You only get 2 of these a day on a life raft! Much of the focus of the morning was on how to avoid things going wrong in the first place, and how to be best prepared for anything that does go wrong. 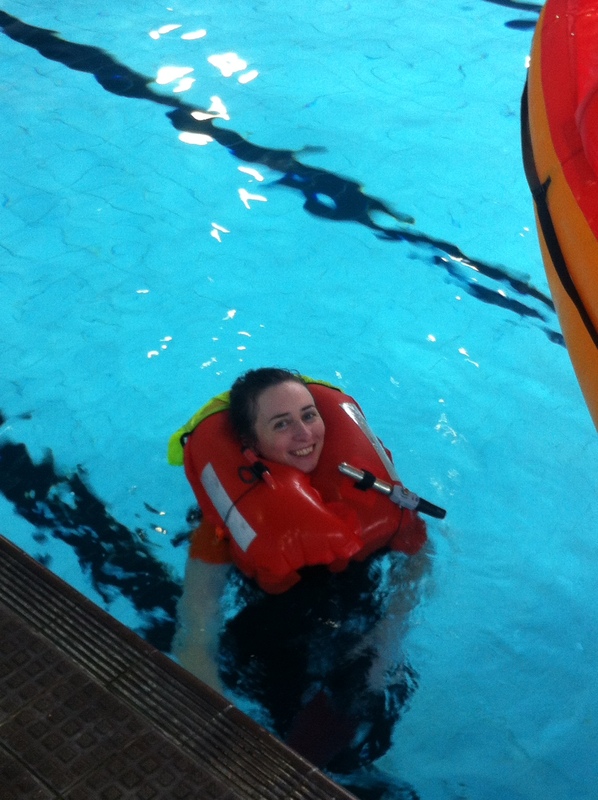 Although the afternoon that we spent in the pool was fun, I definitely want to avoid ending up in a life raft in the middle of the Pacific – they are pretty unstable and uncomfortable. Hawaii is by far the preferred option! Thank you so much to Nigel of Laminar Sails (Greenwich Yacht Club), who sponsored me through this course, and who was a dynamic, patient and downright excellent course tutor!